A Huron County family has permanently protected 686 acres—some of which it has owned since the 1830s – in cooperation with the Land Conservancy. 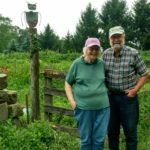 Howard and Sharon Smith of Sherman Township have placed conservation easements on three properties in Sherman and Peru townships in west central Huron County, southwest of Norwalk and north of Willard. 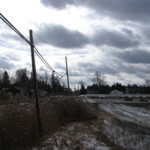 The non-contiguous parcels contain farmland and natural areas. A conservation easement permanently protects the land while allowing the property to remain in private ownership. 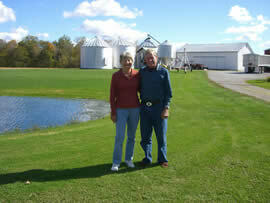 Howard Smith has a grain-farming operation on the preserved properties, which contain prime agricultural soils and are farmed with a high regard for conservation. 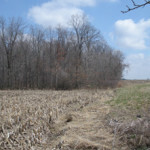 The largest of the three properties is a 462-acre tract along the West Branch Huron River in Peru Township, along Snyder, Fern and Hettle roads. A 1.5-mile stretch of the river flows through the property, which includes farmland as well as floodplains and wooded uplands. Western Reserve Land Conservancy seeks to preserve the scenic beauty, rural character and natural resources of northern Ohio. The Land Conservancy, which was formed in 2006 by the merger of eight local land trusts, has preserved more than 350 properties and more than 22,000 acres in northern Ohio. The Land Conservancy’s 14-county service area extends from Huron and Erie counties east to the Pennsylvania border. The organization is headquartered in Chesterland and has five field offices, including one in Oberlin.